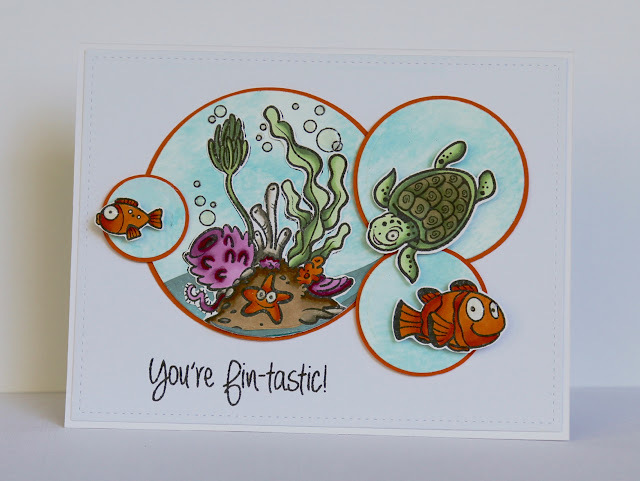 Life on The Scrap Heap: Guest Designer - Your Next Stamp! Make sure you go and check out the store won't you and I'll be back tomorrow with another card to show you for their latest blog challenge! Congrats on your guest design gig Claire!! Your card is perfectly delightful!! Adorable underwater creation, Claire! Love these little fish.